I’ve mentioned before that this show keeps improving week after week, and in this episode it took yet another jump in the right direction. While there isn’t very much action, there is a lot of character with very strong performances from Agent Coulson as well as Simmons. There’s also one of the stronger tie-ins to the Marvel cinematic universe with the connections to the Chitauri and what happened during the Avengers. There is also a couple nice reveals at the end that gives a lot while still leaving a good chunk of the mystery intact. There are a couple moments that I couldn’t quite get behind, but the rest of it is so well done that I didn’t care. The episode revolves around a group of firefighters that brought a Chitauri helmet back as a souvenir, and while cleaning it they contracted an electric space virus that eventually leaves them dead and floating from an internal lightning strike, and Simmons is infected. I liked the direction the show took in this episode for a few reasons, one is that it finally gave some good development to Fitz Simmons who have spent most of the time as general comic relief/tech deus ex machina, two is that it gave Coulson not one, but tow moments where he really owned the screen and brought a lot of depth to his character, and it also brought a lot of great Whedon humor during the early parts of the episode. There are a couple deaths from this electric virus, and there is a third member who is infected and Coulson sits down with him as he is about to die and it is one of the best moments in the show by a longshot. And later in the show, it really ups the stakes when there is a risk of Simmons dying as well. I almost wish they would have actually gone through and let her die as that would have been something quite unexpected for a show like this, but I understand why they didn’t. But the stakes were still raised, and everyone stepped up to the plate, giving a couple nice moments with Fitz Simmons bringing a lot more personality to both of them. And the episode ended with more information about Coulson’s death along with the reveal that Melinda has also been brought back to life in a similar way. It’s a great moment of answering one lingering question while at the same time raising two more in its place. There were a couple minor letdowns in the episode though, one is the plot thread surrounding Skye’s betrayal and the technobabble tracking bracelet she’s wearing. It feels like it’s being forced into the conversation and it doesn’t seem to have any real purpose yet. There’s also the standard leader refuting authority to give his team enough time to work things out combined with the last minute save. But those were minor parts of an otherwise great episode. I also wanted to give a quick shoutout to MAOS: Declassified which is always a quick recap of last week’s episode along with a quick preview of this week’s episode with some great humor. This week’s episode has a nice little behind the scenes moment taking a look at how they did some of the fire effects. I really hope we get more episodes like this, and I’m referring to both the main S.H.I.E.L.D. series as well as the Declassified companion webseries. Until next time, this has been Bubbawheat for Flights, Tights, and Movie Nights. 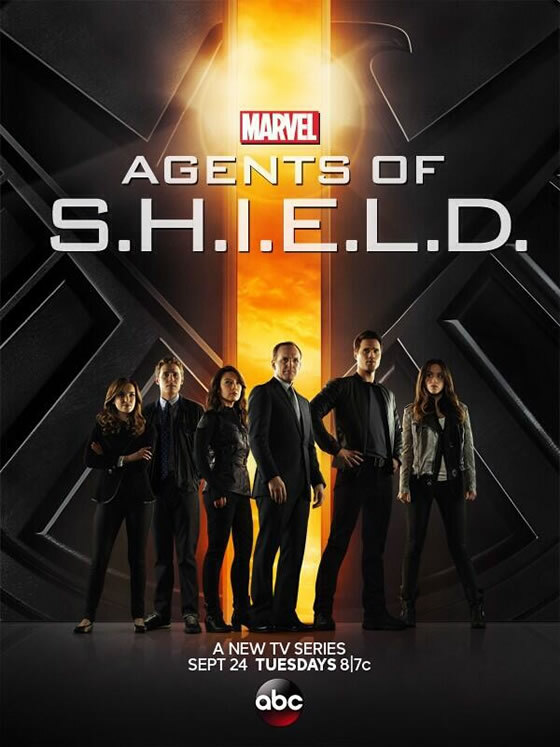 Posted on November 6, 2013, in TV Nights and tagged Marvel, review, SHIELD, television, tv. Bookmark the permalink. 7 Comments. Easily the best episode so far for me. Not been happy too far though. I feel like I’ve been saying “best episode yet” for the past few episodes so I hope the trend continues and doesn’t fall back to the weaker early episodes. I also wished they had in a way let Simmons die….or given her super powers. I really feel like someone needs to have some super powers. I’m still not getting the Whedon magic yet. I remember how I felt the first time I watched Firefly, even Buffy (I could always tell which episode was one he wrote and directed and which ones weren’t) and the Avengers. I just don’t quite feel the chemistry between the team and I’m beginning to wonder if that’s Sky. I don’t feel Sky. I love the rest of the team, but I don’t feel the cohesion just yet. This episode was the best so far, even made me cry a little, but I still ultimately am having a hard time caring just yet. I’m not giving up on Whedon, I just wish I could put my finger on what it is that’s not clicking for me. I think part of it might be that there isn’t really a strong central character. It’s almost Coulson, but while he is awesome, he just doesn’t get enough to do to really feel like the central character. The rest of the time in the show is split between too many characters, and not enough of them have a real unique identity yet. I feel like the shapes are forming, and I hope it gets a second season because I think it can really pull some good stuff off once it all meshes together. You know, you may be right! Firefly had Mal, Buffy had, well, Buffy. Avengers….was all about them coming together so you didn’t expect a central hero but you did have a central villain. That may be exactly what the problem is! Good insight. I hope they pull it off cause I agree, it could be awesome! This is one of the better episodes. Not an action episode, but a good character piece. I’ll post a review tomorrow. Though they couldn’t resist throwing in a little greenscreen skydiving action at the end.